We are all guilty of succumbing to stress. Whether induced by next weekend’s party or an important presentation at work, its effects can be debilitating. Everyone needs a certain amount of stress to survive – it’s what gets us out of bed in the morning and gives us the adrenaline to succeed. As noted psychotherapist and writer, Adam Phillips puts it, stress and worry serve an important function in our favour: “If worrying can persecute us, it can also work for us, as self-preparation. No stage fright, no performance.” However, stress can become a problem when our bodies experience too much of it, compromising our health and leaving us at our wits end. So what exactly is going on inside your mind when you feel overwhelmed? When your body detects stress, the hypothalamus—an area of the brain important to the nervous and endocrine systems— reacts by stimulating the body to produce adrenaline and cortisol. These two hormones increase your heart rate, raise your blood pressure and temporarily increase energy to help you ‘fight’ or ‘take flight’. With these chemicals running through your brain, you’ll probably feel as though your thinking is cloudy, and consequently it’s no wonder that your judgement might be in some way compromised. When your body recognises it’s no longer in danger, your hormone levels fall and your heart rate and blood pressure return to normal. 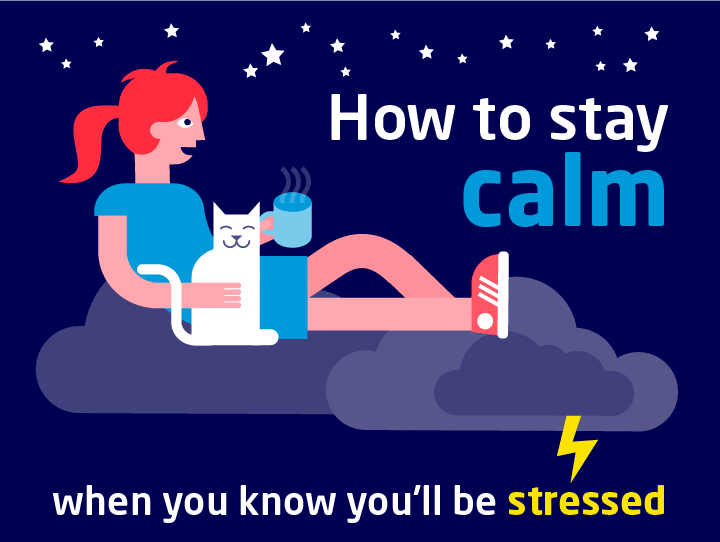 But, more often than not, stress can leave you feeling angry, anxious and scared.